After a race and round victory at Bathurst, young British champion James Winslow has announced his sights are set on V8 Supercars. 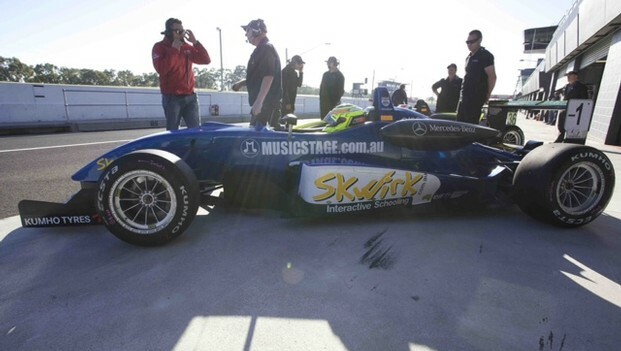 Dual Formula 3 Australian Drivers Champion Winslow yesterday confirmed his retirement from wings and slicks racing to focus on plans to start a V8 Supercar career this season, hoping to acquire a ride for the endurance events. With two titles from two seasons in Australia, Winslow has also had Formula 3 championship wins in Asia and his homeland, the United Kingdom. 3 wins, six round wins from the last eight events – and now Winsow wants V8 Supercars to be his next challenge. “I’ve had many great successes and have really enjoyed all of my time in Formula 3 racing around the globe, and now it feels like the right time to look further into the opportunities that have been presenting in the V8 Supercar series,” Winslow said. “Having records to my name is a great achievement I can always be proud of, I’ve worked with some of the best teams in the business, I’ve raced and won at some of the best tracks in the Formula 3 world and I’ve won multiple championships in my home country (United Kingdom), here in Australia and abroad, so you can’t ask for much more than that in a career with a series. “I’m confident now is the right time for this decision, having been speaking with teams in the V8 Supercars, as well as looking at the opportunities within Porsche Carrera Cup, which could also lead to racing around the world once again, but with a new challenge.